Kongo’s troop is growing with the addition of Schweetheart who flew in from Chicago on Tuesday to join the gang. 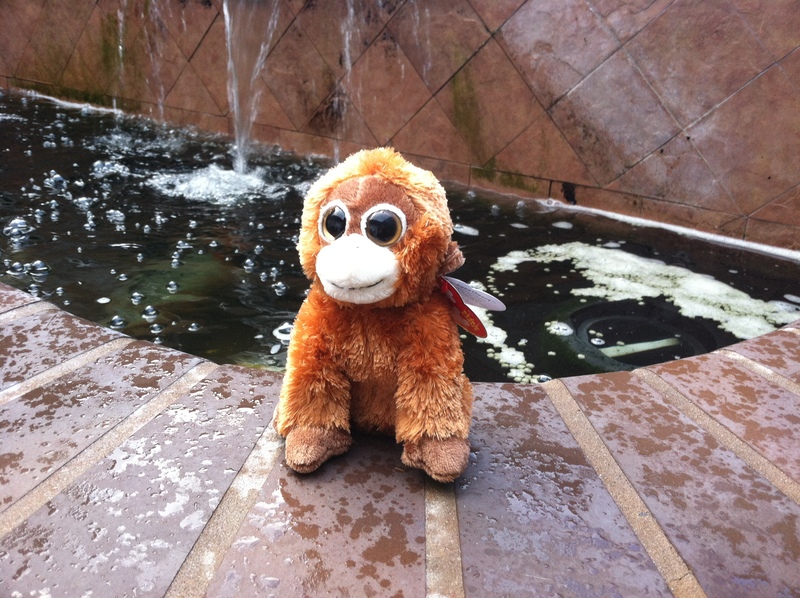 There are now five monkeys in the Kongo troop (a troop is a family of monkeys) and they are always looking for adventures. 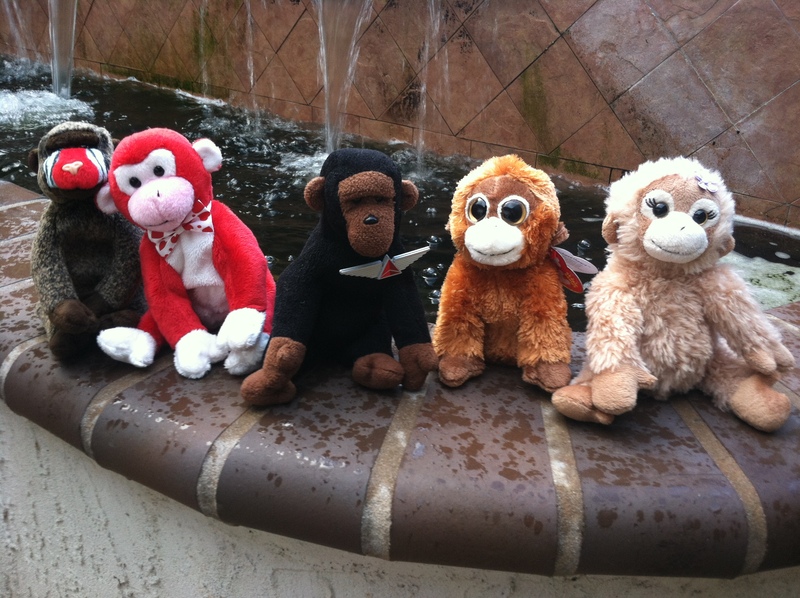 From left to right are Cheeks, Valentine, Kongo, Schweetheart, and Missy. All Kongo needs now is a barrel.